Bob and Jonathon, the creators of Blogging Your Passion University, have one last item up their sleeve: Kindle Your Passion. They’ve put together a course all about how to turn your writing into a Kindle book to increase the readership and reach of your work. Learn how to write, publish, and promote your e-book in just 4 video modules. Tackling the formatting and editing of an e-book always makes people cringe. Kindle Your Passion, thanks to all the videos and PDF guides, breaks down the steps into actionable chunks. Bob and Jonathon say you can write and publish your e-book within a month thanks to this course and the resources they give you and we really believe that’s true. They take away all the finicky areas where you can make silly formatting mistakes and focus on how to niche your book for a very profitable launch. Most courses on how to write an e-book don’t touch on researching the topic and how Amazon ranks and categorizes things. Knowing where your book will fit in at the start will help you get many more eyes on it later. Plus, Bob and Jonathon share their templates and mind maps with you to help you get a bigger idea of the process to write an e-book that gets a lot of attention. They show you how to promote your Kindle book! So often, we put all of our work into creating something and none into promoting it. 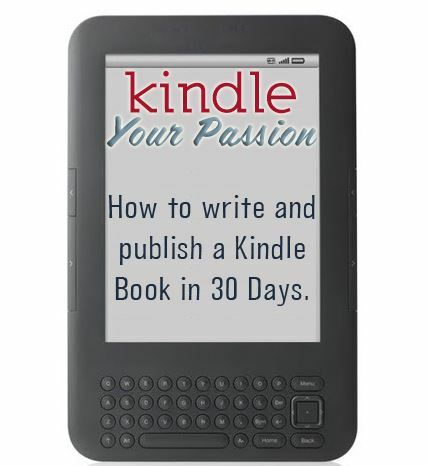 Kindle Your Passion ensures that your book makes a splash thanks to their marketing strategies. Learn how to get reviews that make others want to read your book, promote your book 12 ways for free, and discover how to correctly price your book for maximum profit. Let your writing reach a larger audience thanks to Kindle Your Passion and learn how to turn blog posts and books into e-books. Bob and Jonathon will show you how to research your book to find its niche, increase your writing productivity to ensure you get your book out as soon as possible, and promote your book successfully. Embrace the digital age and get your words out there!